Exercising goes hand-in-hand with maintaining a fit and healthy lifestyle and being a healthy ager. And if you're like 65% of the world, it was probably one of your New Year Resolutions to do a little more of it. It’s quite apparent that in order to step (pun intended) into the habit of jumping jacks, squats, and running, your mind must be set on a healthy fitness regime. What is not easy is maintain that positive mindset during your proverbial climb. One might not think that keeping positive would play an important role in wellness, but it really does. Studies by the Society of Nuclear Medicine revealed that depression is linked to a lower flow of blood to your brain. "Individuals in a depressed emotional state have impaired cerebral (brain) blood flow,” explained Omer Bonne, head of inpatient psychiatry and associate professor in the Department of Psychiatry at Hadassah-Hebrew University Medical Center in Jerusalem, Israel. “Currently, clinical psychiatry is based almost solely on subjective observer-based judgment. Our findings suggest that objective imaging evaluations could support subjective clinical decisions.” he said. 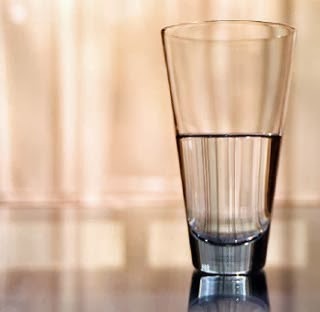 It may take practice to see the glass as half-full. Take small steps to start off. For example, before the end of each day pick one thing about that day that you are thankful for or that made you happy. To get negative thoughts or feelings out, write them out in a privet journal that they "stay in" and therefore "stay out" of you. Remember, it takes more muscles to frown (which may lead to more wrinkles) than to smile! Amen DG, Trujillo M, Newberg A, et al. Brain SPECT Imaging in Complex Psychiatric Cases: An Evidence-Based, Underutilized Tool. Open Neuroimag J. (5), 40-48.